With more than 120,000 miles of road to explore, Pennsylvania is a popular playground for motorcycle enthusiasts. In 2017, there were more than 800,000 licensed motorcyclists living here. At Hagelgans & Veronis, we proudly provide the highest quality service to members of our community who have been wrongfully injured. We’ve helped hundreds of injured motorcyclists and their families following a crash. Below, we discuss recent motorcycle crash statistics, plus important information that could keep you safe on the road. In 2016, 3,321 motorcyclists were injured in Pennsylvania; 172 riders and 18 motorcycle passengers were killed. Several motorcycle crashes took place in designated work zones; most of these were on state highways or interstates. Men are more likely to be injured or die in a motorcycle accident than women across all age groups. Of all motorcycle fatalities in 2016, helmets were worn in less than 50 percent of crashes (46.9 percent). Helmet use for recorded injury crashes is slightly higher (57.9 percent). Pennsylvania is among the top five states with the most registered motorcycles. In 2016, 4,976 motorcyclists died in crashes. Motorcyclists account for 13 percent of all crash fatalities. Riders aged 50 and older are most likely to be fatally injured in a motorcycle crash followed by riders younger than 29. In 2016, 91 percent of U.S. motorcycle deaths were male; however, 92 percent of passenger fatalities were women. Nationally, motorcycle fatalities are most common in June through September. Motorcycle injuries and deaths remain fairly constant despite great effort to increase safety. Pennsylvania does not currently enforce a universal helmet law. 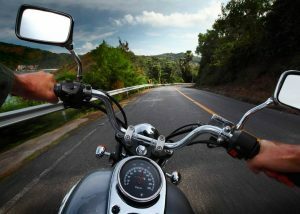 Riders and passengers over the age of 21 are not legally required to wear protective headgear as long as they have two years of riding experience and a Class M license or completed a motorcycle safety course approved by the Pennsylvania Department of Transportation (PDOT). According to the National Highway Traffic Safety Administration (NHTSA), helmet use is 37 percent effective at preventing motorcycle fatalities. If you value your safety while riding, wear a helmet to reduce the risk of injury or death. Motorcycle handlebars may not exceed shoulder height in the seated position. No more than two motorcycles can ride side-by-side in the same lane. Helmet speakers are permitted for communication purposes only. Motorcycles are not permitted to operate in-between lanes of traffic. Motorcycles may not pass in the same lane as another driver. Motorcyclists and passengers are prohibited from carrying anything in their hands while riding. Annual inspections are required during license registration. It’s up to everyone to ensure the safety of motorcyclists: they’re less visible than passenger vehicles and have fewer protections. 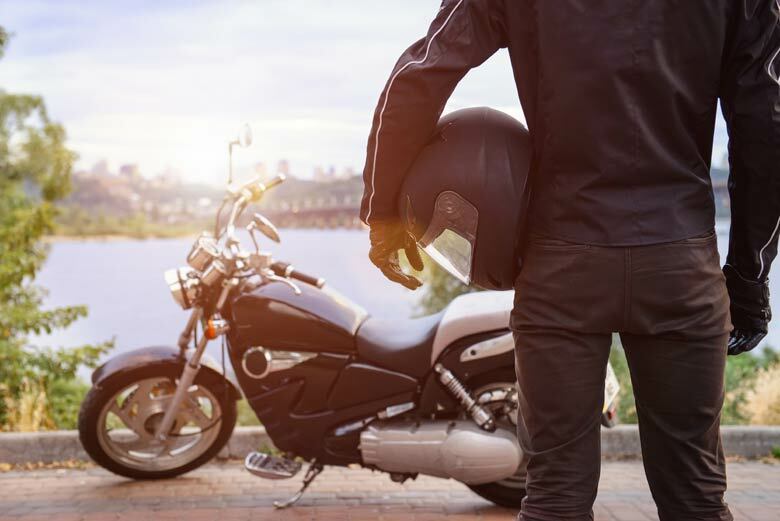 While not every accident can be prevented, it’s possible to reduce injury and fatality rates if motorcyclists wear helmets and avoid drinking and driving. Drivers should be attentive behind the wheel and give motorcyclists plenty of space to ride safely. Call us for a free consultation at 877-454-8529 to speak with an experienced motorcycle lawyer at Hagelgans & Veronis. Our lawyers have over 25 years of experience in personal injury law and motorcycle accidents! Get more safety information that could save a life! 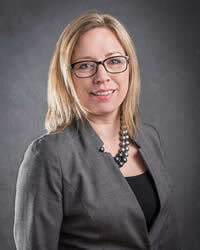 Follow Hagelgans & Veronis on Twitter, or ‘like’ us on Facebook.